Good Morning and we hope you are well. We are 8 weeks away from opening the gates on the Thursday at Bearded Theory 2019. The new gate opening time is 9am on the Thursday and gates will remain open until 9pm. Tickets will be dispatched towards the end of April over a 2-week period. If you have moved address since buying your tickets, please contact See Tickets to update your delivery address to avoid any future headaches. We are putting the final preparations in place and have been announcing some of the amazing things we have lined up for this year on our social media platforms. We have 9 stages offering vast differences in music genre and some amazing creative activities to keep you entertained for the 4 days you are in our care. We have made some great improvements that will enhance your stay with us from the moment you leave the A38. We are already booking acts for 2020 and remain hopeful we can announce a couple of acts in this year’s festival programme. We have now sold out of campervan and caravan passes and we are down to the last few tickets for all remaining ticket types. There will be no further ticket warning. The day running orders are detailed below for Friday, Saturday and Sunday of the festival. Thursday we are only putting a couple of acts on once the gates have closed across various venues (not the Pallet) and as such we are not sure of the running orders until the day (check the blackboards later in the evening). 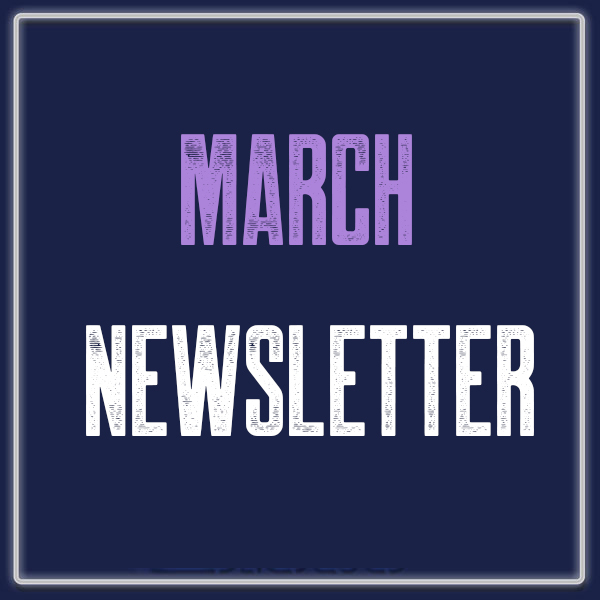 We hope you find the newsletter interesting reading and the legendary Billy Duffy from the Cult answered a few questions for us ahead of the festival. We will have questions answered from all our headline acts and more besides which will be shown on social media every Friday night until the festival. The One Big Showcase has announced its line-up of amazing unsigned performers gracing their new big top styled stage in 2019. The One Big Showcase is run by the Academy of Music and Sound, the UK`s biggest network of independent music schools. The Friday is headlined by ska reggae band THE KUBRICKS and joined by indie rock band HOT PLASTIC, heavy rockers HAWXX, blues rock acoustic act KATY HURT and country act DANA IMMANUEL & THE STOLEN BAND. Saturday is topped by indie rockers TRES KING, rock act CANDIDATES, reggae hip-hop actCUBA LIBRE, folk band PAVY ARK and folk classical act MARSHES ft BETH PORTER. Sunday welcomes ska band BAD TRANSMISSION, grunge rock bandDUTCH MUSTARD, funk band the RETROSETTES, folk act and solo singer JEZ HELLARD. Tickets will be available via http://www.seetickets.com/tour/bearded-theory or http://www.beardedtheory.com by calling the See Tickets box office on 0871 220 0260 (calls cost 13p per minute plus network extras). Please be aware several pick up points are close to selling out, if you wish to use this service please book now to avoid disappointment. The Beard Factory tent is back making beards for little ones throughout the weekend and we also have a Lego tent, sensory play tent with slime, story tent with typewriters, puppet theatre and many more exciting word activities, Natural Craft tent paint disco rocks, glitter pine cone mobiles, grass heads. Pamper salon, festival nails, tattoos and Baby Boo with First Aid sessions, baby change, microwave and other baby essentials. All new Rogues are welcome to participate whether they have experience or not. Part of the fun is learning while enjoying making loud music and creating colourful and messy art in a safe environment. It’s three days jam packed full of live music, DJs, graffiti, beatboxing, Wombling, arts, sticker bombs, unicorns, mischief, mayhem and much more! Over the past few years we have been looking at ways to implement permanent pint pops which avoids cross contamination. We are now delighted to have got a system whereby we can clean all the glasses in an environmentally friendly way. We never wanted to swap one environmental issue and replace it with another, and we are really pleased to confirm that thousands of permanent pint pots will be purchased and sold for £2 on all the bars at this year’s festival. The cost will offset the price of the glass and to fund the cleaning facilities in the bars to ensure good hygiene remains a top priority. When you buy another drink the pint pot will be replaced with new and the old pot cleaned in order to be re-used. Last year the festival was delighted to avoid sending any of our waste to landfill for the first time in the festival’s history. 85% of all waste was recycled and 15% of it was used to generate power. We will be issuing a full bar tariff in the next 2 weeks. Tipi & Yurt hire are is now available and you can find full details via https://beardedtheory.co.uk/tipi-and-yurt-hire/ and booking can get be done via See Tickets https://beardedtheory.co.uk/tipi-and-yurt-hire/ . The area is operated by the brilliant Hearthworks http://www.hearthworks.co.uk/ and many of the tents this year are nearly sold out so don’t leave it too late.